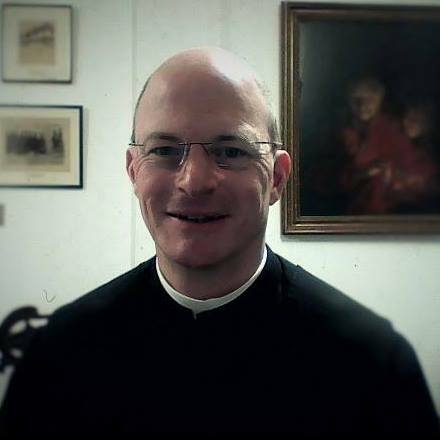 My name is Fr Hugh Somerville Knapman OSB, and I am a Benedictine monk and priest. I am 50 years old and am a native of Sydney, Australia. If you would like to discuss anything you have read in this blog feel free to contact me. Pax! Just what do you mean by this? Where do you have any factual knowledge that he has discerned this by “private revelation”. Or do you mean it in some manner of sarcasm? I would greatly appreciate your response and clarification. No, I was not being sarcastic but deadly serious. How else could he have arrived at the conclusion that “God wants” a loose association of “pockets of resistance” served by him as their “flying bishop”, and so free from the hierarchy of the Church and its “false structure of obedience” – rather than the Church as founded by Christ on the rock of Peter? We have the scriptures and Tradition to tell us that this cannot be God’s judgment. So it can only be W’s private judgment. And since he would surely not claim that it is only his opinion, the only other conclusion is that he has received a revelation to this effect, which is strongly implied by the “it seems” he employs. The conclusion must be drawn from his statement that he feels that God is speaking to him, calling him to a ministry outside the Church in order to defend what he determines to be the true Faith. My friend Brian, at the blog to which I link, has a more recent post that elaborates W’s position in greater detail and insight. A thousand welcomes! Your unease with the direction of the Anglican communion is understandable, though no one region of that communion can be said to be typical any more! And that, perhaps, is at the heart of the problem. Each does its own thing. This is one of the fundamental flaws of Protestantism: the self becomes its own authority. And when we rely on the self to that degree we should know we are in trouble. My little blog my not always be helpful to you, but any bits that are so, please use as stepping stones to peace of heart which for you, I feel sure, is to be found in the bosom of Mother Church, where the self is mostly certainly not one’s final authority. Peace upon you, and blessing. Hello! Did you mean “Rome, Sweet Home”, by Scott and Kimberley Hahn? If so, great choice. Following a Christian who knows his Bible backwards as he discovers it only really makes sense within the Catholic Church is a great way to get to know the Church. He is also honest enough to make it clear that conversions entails sacrifice – but never in vain, even in this life. Protestantism was doomed to endless splintering (70,000+ denominations in the world today) as soon as it established the principle of private judgment over ecclesial authority. In other words, every one can be his or her own pope. If I think my church is wrong, I will join another, or even start my own, with the delusional assertion that mine is the church with the the truth. I struggle in vain to find any precept in the New Testament advocating, or even allowing, this approach. It cannot be what Christ wanted. Don’t worry – we all do typos. And for all I know there is a book of that title! I enjoyed your article on the liturgy in the Catholic Herald. Always refreshing to see a priest with an open mind on the issue!